Sweet ! 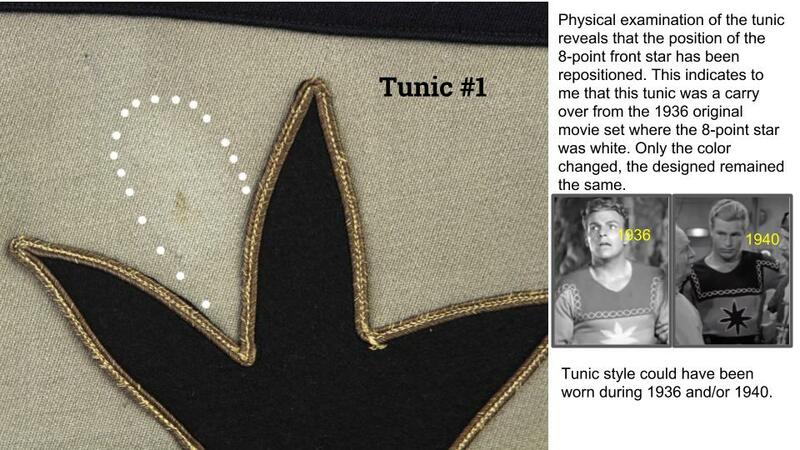 As a collector of 50's sci-fi cards, comics, toys, movie posters, cereal boxes, you name it, one of my most prized items is a jacket worn on Rocky Jones Space Ranger. 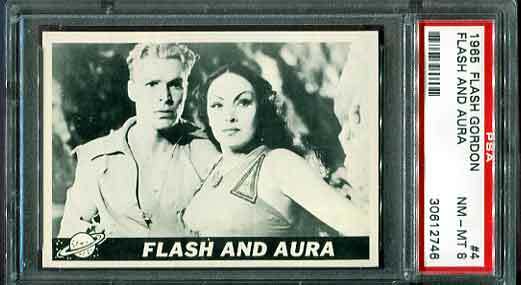 She had great...assets she brought to the role. 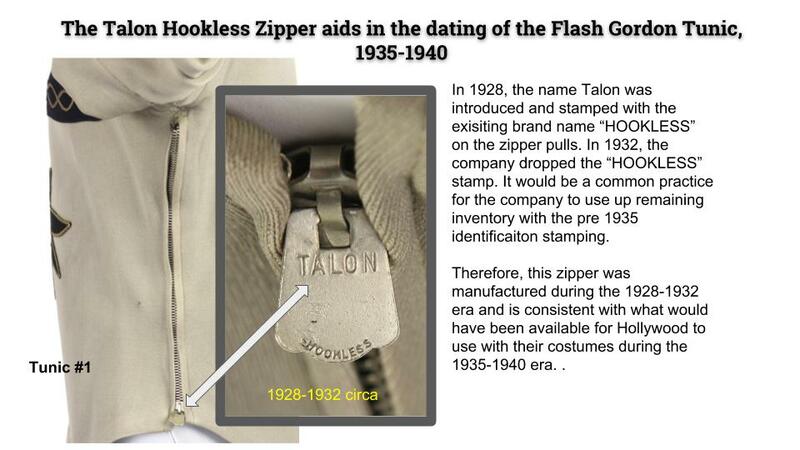 Great job Troy. Well done. Thanks Josh. 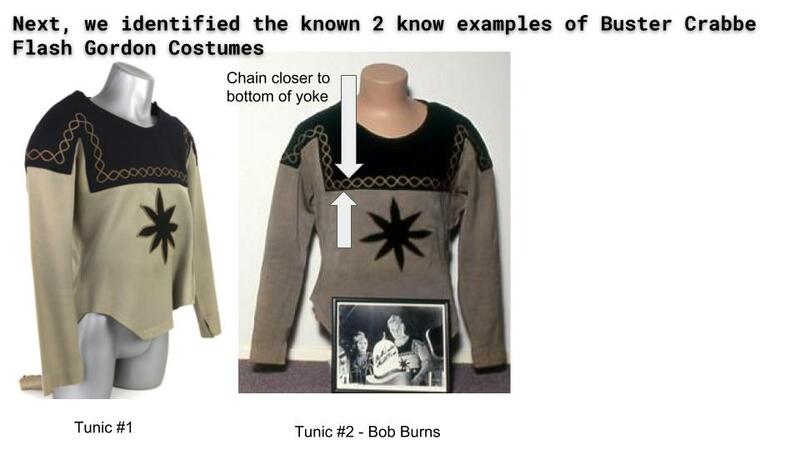 I really enjoyed the research side of this find as it incorporated a lot of what I learned from the game worn jersey authentication side of the business. 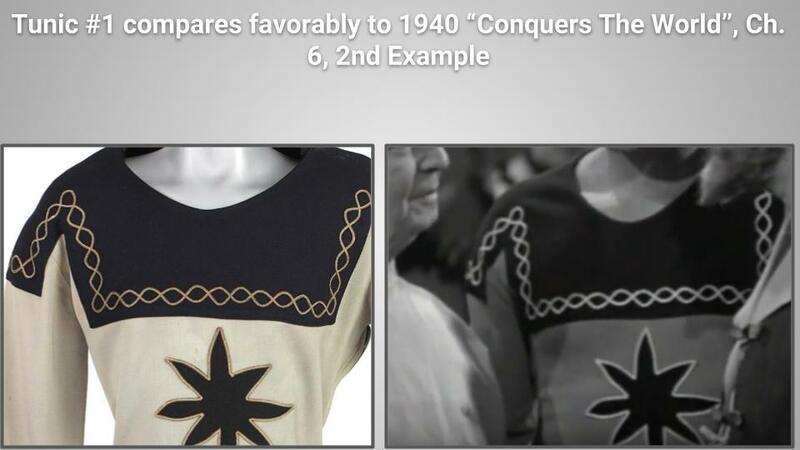 I had a theory that it was worn in the first 1936 Flash Gordon movie, due to the presence of the appearance of the outline of the original starburst (which was white for the first movie). 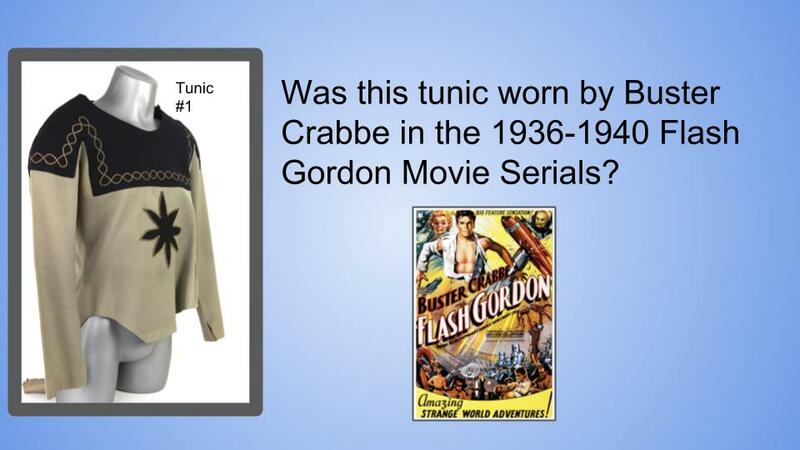 I could match the starburst to several screen shots of the 1936 Flash Gordon movie, but the chain link pattern on the front yoke did not match the 1936 movie. 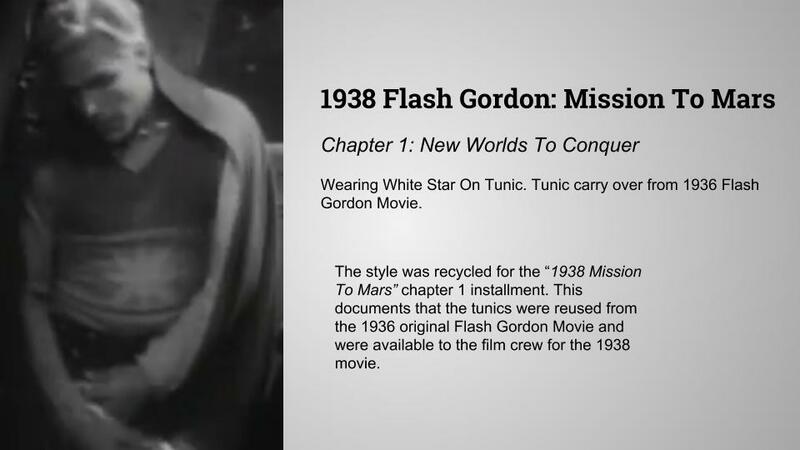 Upon closer inspection, although this is not confirmed yet, I have a theory that the original star burst (of which the outline can be seen) and the black front yoke which featured the chain link design was removed for the second, 1938 movie, Flash Gordon Trip to Mars along with the original starburst, which is the outline I am seeing For the 2nd 1938 movie, Flash wore a lighting bolt on the front of his costume. 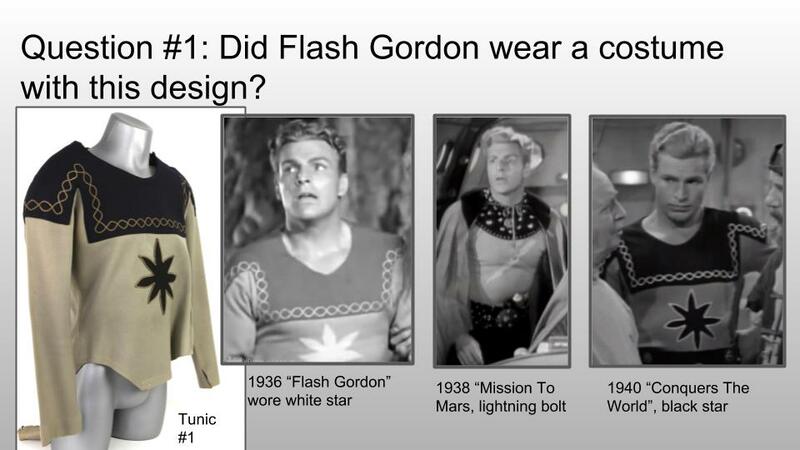 Then, for the 1940 movie, Flash Gordon Conquers the Universe, the lighting bolt was removed, the current starburst was re-added, and a new front yoke was applied, with the matching chain link which is consistent when you compare the examined tunic to the 1940 movie. 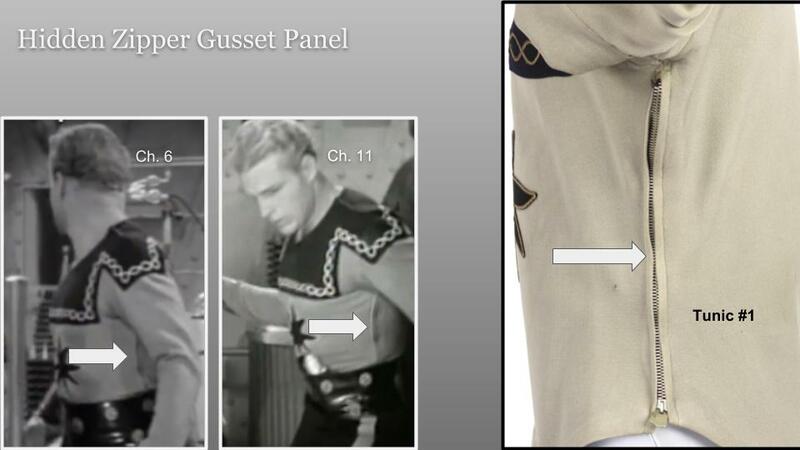 If this is accurate, this would make it a costume worn by Buster Crabbe in the 1936, 1936, 1940 movies. 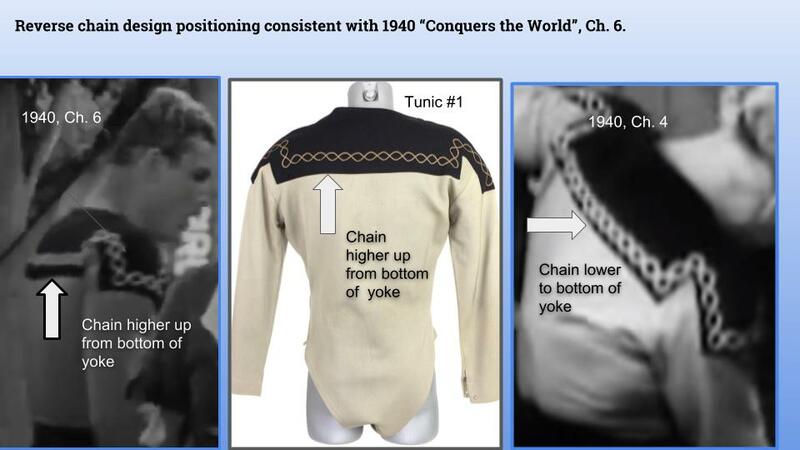 You can probably tell that I am very excited to own this costume. 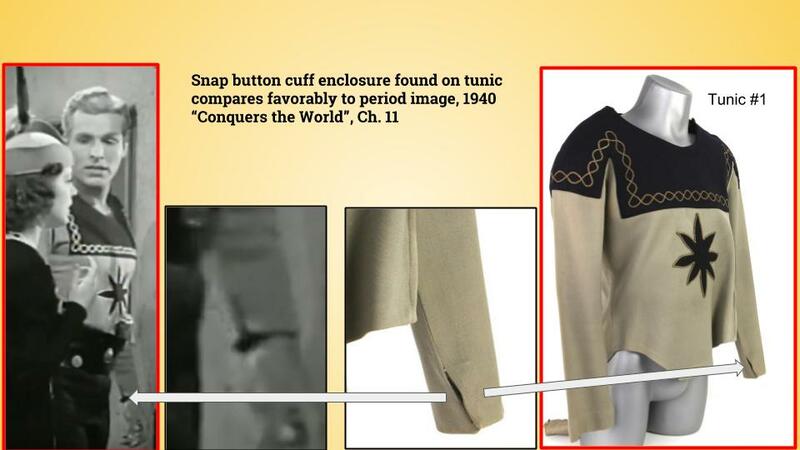 Troy, the same tunic was worn by Robert Rockwell as Jor-El in the first episode of the 1950s "THE ADVENTURES OF SUPERMAN" television series. 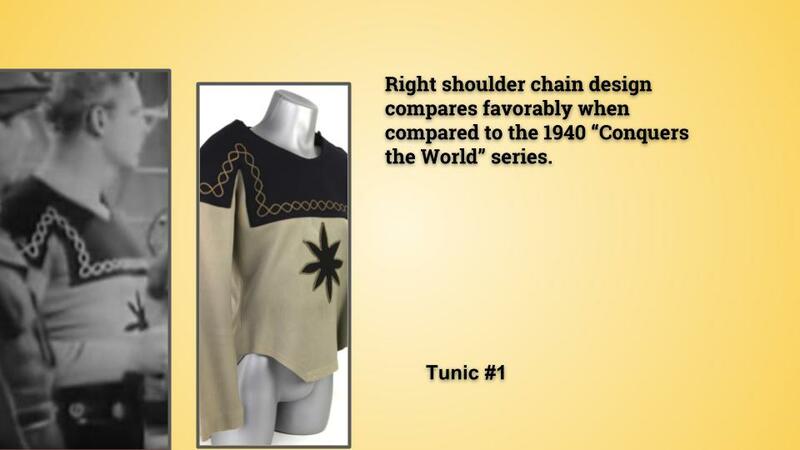 Good eye and nice catch regarding the Super Man usage. 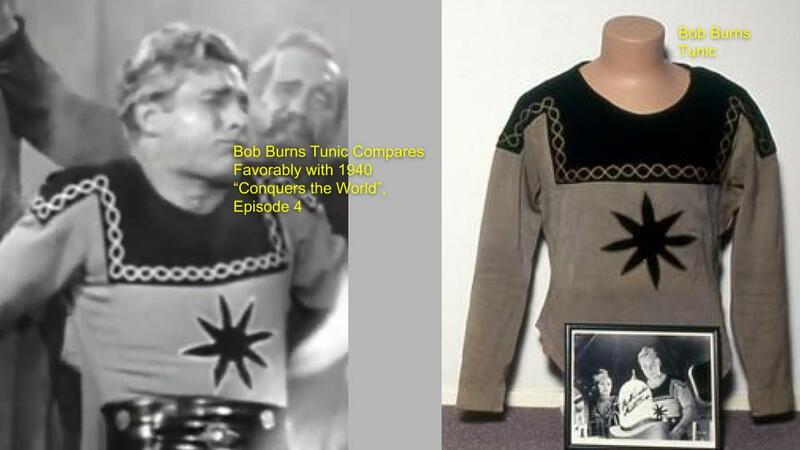 I reviewed the footage, and I believe it was Bob Burns (Flash Gordon Tunic #2), which was used in the Superman Episode. 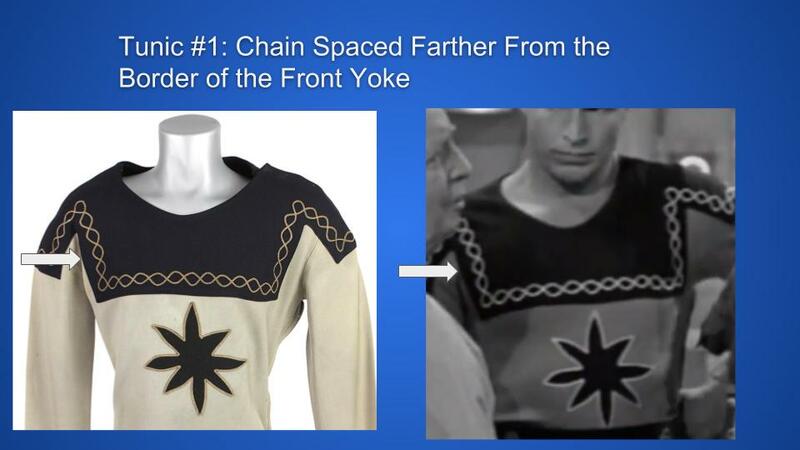 The chainlink on the tunic sits lower to the edge of the black border, which is consistent with the other tunic that is owned by sci fi collector Bob Burns. 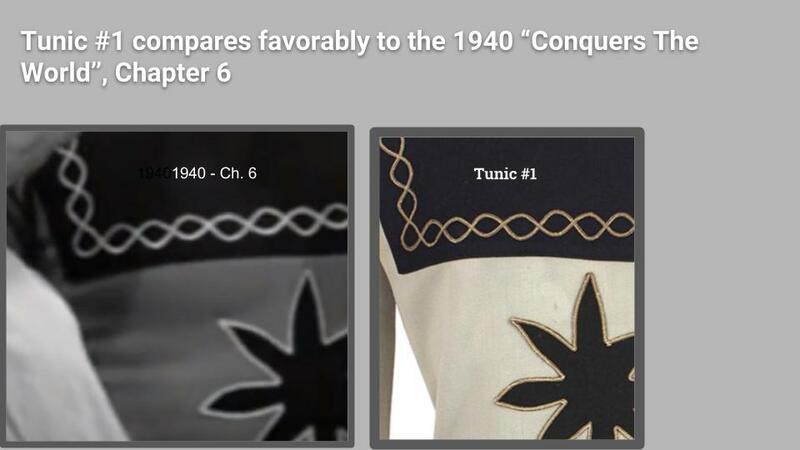 Goes to show that these tunics were recycled.